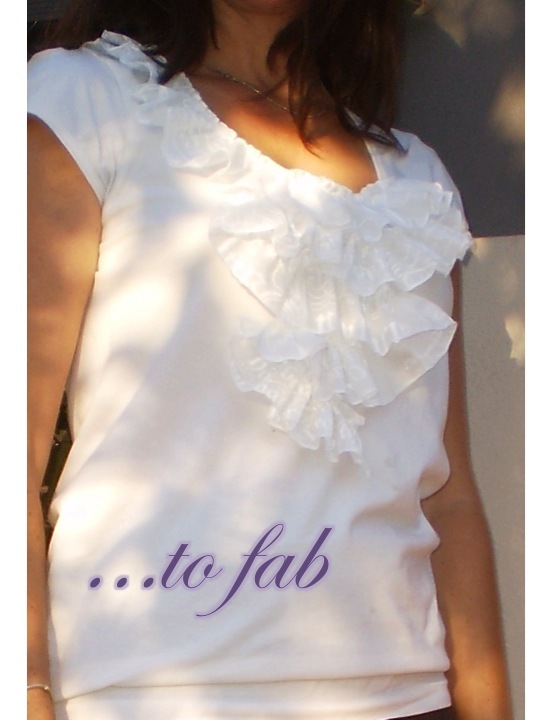 I have been very inspired by numerous tutorials and ideas to make ruffled tops and here is my first attempt. I have to say that it was super-easy and I'm very pleased with the way it turned out. 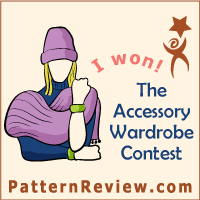 It's also my first attempt at adding fancy text to my blog pictures, so here's another one! 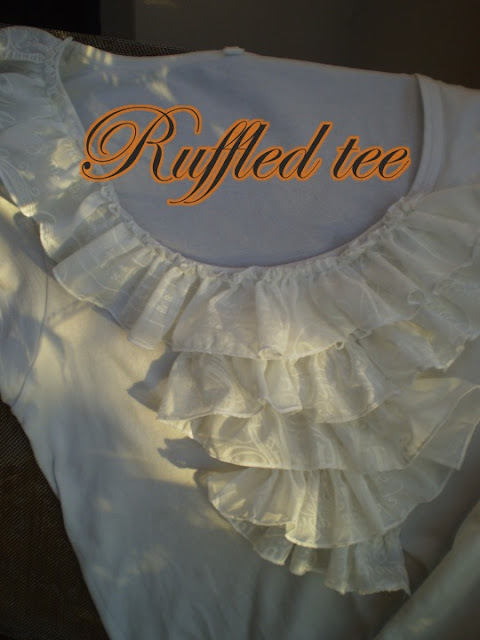 Anyway, I know there are lots of tutorials out there for ruffles, but I thought I'd add mine, and I apologise if it is duplicating someone else's. To begin with, I found the fabric for the ruffle. I wanted something white, but with a bit of interest, so I dug out this sheer cotton curtain fabric leftover from some bedroom curtains I made for our house in England years ago (no I never throw anything away and I even ship my clutter halfway around the world when I move!). This fabric has a latiny text design on it. I love it. I folded the fabric into four to make it faster to cut. The fabric was 140cm wide and I cut two strips of 8cm each. I sewed these together to make a strip 280x8cm. I used the overlocker to add a rolled hem finish to each edge. This made the ruffle approx 6cm wide. I ruffled the strip by increasing the tension on the sewing machine, setting the stitch length to the maximum and just sewing about 5mm from one edge - instant ruffle!! I found this tip here. I pinned the ruffle into place in the descending, asymmetrical zig-zag pattern (covering a couple of small marks in the process). I then sewed each 'zig' and 'zag' as individual rows along the gathering line. Both edges are visible (i.e. not turned under). Voila! Hi Meg, I have just become your newest follower. I have spent a happy hour or so reading through your posts. 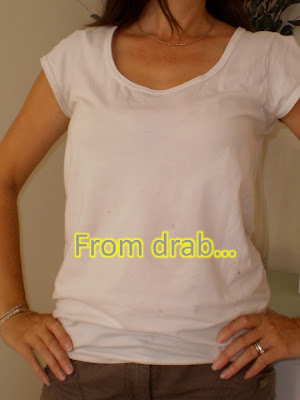 I love all the ways that you refashion clothing and your clever thrifting. thanks for the inspiration. Wow, what a compliment that you spent some time reading my little old blog. I'm so pleased you enjoyed it and would love it if you visited again sometime. Happy sewing, Meg. I forgot to add, it's nice to find another Aussie - it feels like there are so few of us. maybe we just hide well in the midst of so many other bloggers. I love it. Thanks Meg I'm so excited! !